Friuli Venezia Giulia is a land of frontiers and intersections, of emigrants and immigrants, of a complex history with different ruling powers. The result is a region that has an extremely rich and mixed heritage. 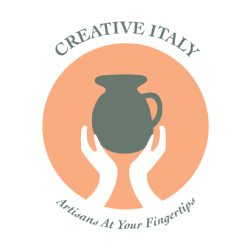 In today’s post, we will explore some of its interesting cultural and artistic aspects that showcase the melting pot that Friuli Venezia Giulia really is! The region has a long and interesting name that incorporates important parts of its history. Friuli derives from “forum Iulii”, Latin name of the local ancient capital founded by Julius Caesar towards the middle of the Ist century b.C. (today’s town of Cividale). The name “Venezia Giulia” was suggested in the 19th century by Italian linguist Graziadio Ascoli. The name celebrates the local accomplishments of Julius Caesar and Augustus, who both belonged to the Gens Iulia – one of the most ancient patrician families at Rome. But the name also reflects political and geographic controversies of the time, when a narrow strip of land surrounding Trieste was highly disputed between Italy, Austria and Yugoslavia (and is nowadays part of Croatia). The Romans conquered the area, previously occupied by the Celts, in the III century b.C. The town of Aquileia became one of the most important centers of the Roman Empire, but when the latter started declining, the region was the entry point for the barbaric invasions. Huns, Longobards, Avars, Magyars and the Ottonian dynasty all ruled the area at different times in history, among others. During the Renaissance, the Republic of Venice conquered the area until Napoleon Bonaparte defeated it and handed Friuli to Austria. Finally, with the Third War of Independence, Friuli was annexed to the Kingdom of Italy, except for the province of Gorizia that was added at the end of World War I. The most obvious and immediate result of the processes that spiced up the history of Friuli Venezia Giulia, is the variety of languages that are spoken in this beautiful region. Apart from Italian, which is the official language, the ‘Friulano’ (an ancient Romance language also known as Eastern Ladin) is taught in schools and spoken by 600.000 people – that’s about half of the region’s population. Slovene is spoken in some provinces of Gorizia and Trieste, while German is used in the areas of Val Canale, Sauris and Timau. National law protects all of these languages, while regional law also safeguards local dialects as a traditional heritage. Examples are the Triestine dialect, local versions of the Venetian language, bisiaco, gradese and muggesano. Artistically, Friuli Venezia Giulia offers breathtaking buildings that communicate its history and the culture of the peoples that have inhabited it. Trieste mixes fine Hapsburg architecture and historical cafes, with a cosmopolitan feel through signs of Catholic, Evangelical, Waldensian, Serbian-orthodox and Jewish religions. Gorizia is known as the ‘garden town’ because of its noble Mittel-European charm. Udine boasts masterpieces by painter Giambattista Tiepolo and streets with Venetian and Art Nouveau style palaces. Cividale del Friuli features Tempietto Longobardo, which represents one of the most mysterious occidental early-medieval architectures; while the Basilica in Aquileia preserves an unbelievable paleo-Christian mosaic floor. The region lived crucial moments of WWI, and many battles can be relived and trenches be explored through open-air museums like Monfalcone’s First World War Theme Park, Mount Ermada and Pal Piccolo on the Carnic Alps. The region of Friuli Venezia Giulia has launched a “form of innovative museums that preserve, interpret and communicate the identity of the local communities. Eco-museums are places where the population takes care of its heritage giving value to the landscape and to the material and immaterial cultural assets preserved there, protecting the territory.” One of these 4 places is the Mistîrs Eco-Museum (Paularo), which focuses on the safeguard of ancient trades and the rediscovery of forgotten professional figures. Work is seen as the link between the population and its territory. The others are the Eco-museum of Waters of the Gemona area, the Lis Aganis Eco-museum and the Val Resia Eco-museum. This is a fantastic way for visitors to appreciate local traditions and discover hidden gems, both material and cultural.